After a week of sleety rain and biting winds this scene greeted us from our back door over the weekend. 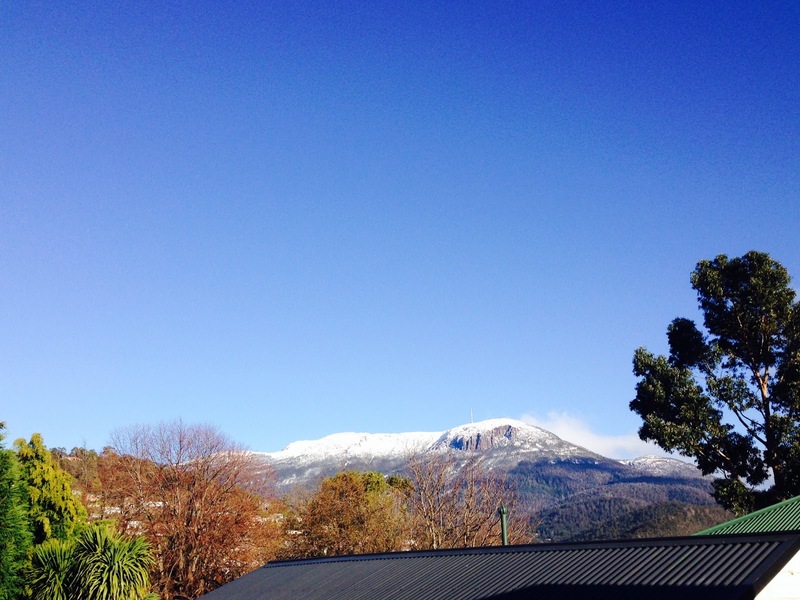 This is quite a heavy snow-fall for Hobart - and coupled with a beautiful clear day it had everyone in town heading for the hills to throw snow-balls. 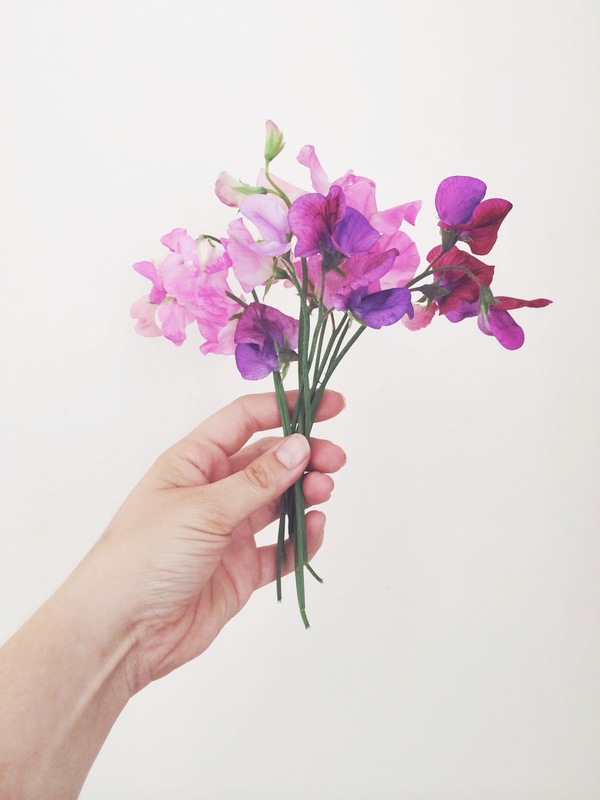 On the other side of the world Karin is enjoying summery sweet peas. I must plant some this year - the colours are just divine. #ourjoyfulmoments is a weekly photography project where Karin and I share the little moments of joy from our weeks on opposite sides of the world. Your back door view is beautiful, & those sweet pea colours are lovely. Gorgeous joyful moments.